A good uniform design begins with the choice and use of fabrics, which determines whether a perfect work can be presented. Uniforms are high-frequency garments that require a crisp and durable look every day. The choice of fabric not only represents the design concept and visual texture, but also wears comfortably to withstand washing. 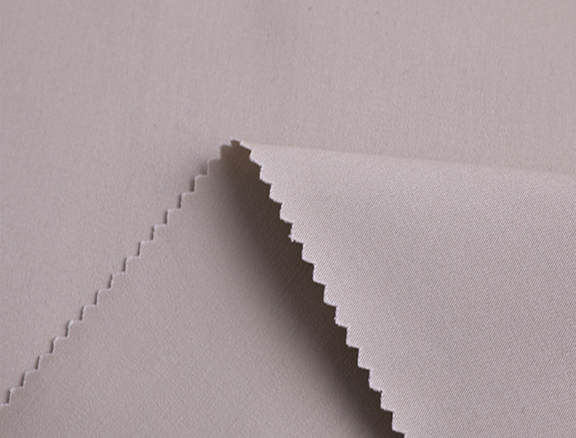 Today, Cotton School Uniform Fabrics Manufacturer will tell you how to choose uniform fabrics. 1. Hemp: Ma is a kind of plant fiber. It is known as cool and noble fiber. It has good hygroscopicity and fast dehumidification. It is not easy to produce static electricity. It has rapid heat dissipation, cool wear, and it is not close to the body after sweating. , heat resistance is good. 2. Polyester: Polyester is a polyester fiber with excellent elasticity and recovery. The fabric is crisp, wrinkle-free, good shape retention, high strength, good elasticity, durable and good light resistance, but easy to produce. Static electricity, poor vacuum absorption. 3. Blended fabric: Blended fabric Chemical fiber fabric is a textile product woven with chemical fiber and other cotton, silk, hemp and other natural fiber mixed spinning. Features: It not only highlights the style of polyester but also the strength of cotton fabric. It has good elasticity and wear resistance under dry and wet conditions, stable size, small shrinkage rate, straight and not easy to wrinkle, easy to wash and quick dry. Features, can not be soaked with high temperature ironing and boiling water. 4. Polyester/cotton fabric: Polyester/cotton fabric refers to polyester-cotton blended fabric, which is made of polyester as the main component. It is made of 60%-67% polyester and 33%-40% cotton blended yarn. It’s really good. It not only highlights the style of polyester but also the strength of cotton fabric. It has good elasticity and wear resistance in dry and wet conditions, stable size, small shrinkage, and features of straightening, not easy to wrinkle, easy to wash and quick drying. 5. Nylon: Polyamide is a polyamide fiber, also known as nylon. The dyeability is better in synthetic fibers. It is light in weight and has good waterproof and windproof properties. It has high abrasion resistance and strength and elasticity. 6. Tencel: Yes An environmentally-friendly fiber, in the process of purification and spinning, uses high-tech technology to protect all the characteristics of natural fibers. It has strong moisture absorption, fabric drape, silky smoothness and bright dyeing. Repeated washing, sun exposure does not lose many health functions, not easy to pilling. These kinds of commonly used Uniform Fabrics have been introduced, do you have a new understanding? We combine the characteristics of work, consider the actual needs and characteristics of later use is essential, so that you can choose the right fabric, choose Uniform Fabris, is it very intimate! Previous: What Is The Classification Of Fabrics? Next: Is There A Difference Between Pure Cotton And Polyester Cotton?